Johannes Georg Bednorz shared the Nobel Prize in Physics for 1987 with K. Alexander Müller “for their important break-through in the discovery of superconductivity in ceramic materials.” Their discovery was one of the greatest news events in the history of science. 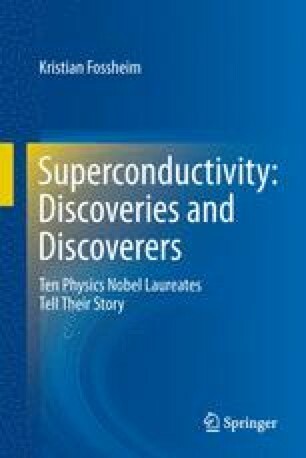 Several thousand scientists all over the world got involved in research on cuprate superconductors, partly due to the great fun with science involved, partly due to the overwhelming expectations for technical break-throughs. See also Chap. 11.